The introductions are over; June Miller are back and there’s no apology. They’ve reappeared having been stooped in solitary confinement; presenting a handful of cuts, only to prove that this was brutally productive and they’ve been working hard to follow up their last release. 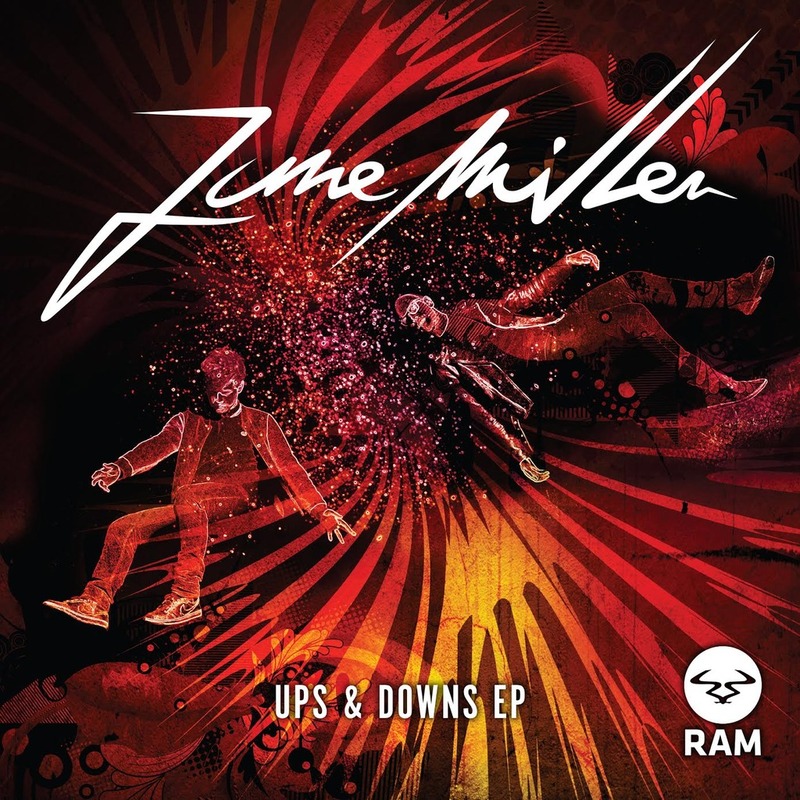 Bare-knuckled and still swinging, this EP sees June Miller entering round three and raising the bar yet another level. The precursor to their forthcoming album, from ‘The Promise Ring’ to the resounding brass of ‘Saus’, it certainly sets a precedent. Rolling out first is title-track ‘Ups & Downs’, showing the pair’s ability to completely flip an emotive vocal sample onto its back. The way they use this sound component shows undiluted ingenuity, creating a totally different impact with every switch. It begins through a wave of static, with a break that slowly leads you up a drum-paved crescendo. Then it pounds, drops and pulls you up just as quickly, creating dynamics which merge to create an electronic masterpiece. Coming up next is a record featuring Mefjus, a production freight-train who’s been setting the competition alight in recent months. ‘Saus’ is no different, with June Miller intertwining a tightly compact composition which smashes your synapses on impact. Rattling through on tracks of unhinged percussion, prepare yourself for a musical excursion which will take you through the darkest depths of drum and bass. But what else could you expect, when the talents of June Miller and Mefjus are so effortlessly combined? Then we’re introduced to ‘Bad Brains’. There’s no denying why this track has been used to intro so many sets over the past year. It winds up with an intimidating compactness, before springing you into chaos. Bludgeoning beats roll with each bar set and there’s no escape from its driving onslaught. This track is instantly recognisable on first listen, alluding to June Miller’s ever-growing profile. And lastly, we have ‘The Promise Ring’. Adding a sexier vibe to its predecessors, the producers have yet again showed there’s a hidden depth to their musicality. Snapping, tapping and with a female vocal oozing between carefully layered constructs, it’s a nod to their huge reel of ability. This last reaffirms that their debut album is sure to feature some of the most perfectly crafted, versatile music the Ram imprint has to offer.